3 Easy but effective exercises to de-stress at your desk in under a minute. Below are ways to alleviate anxiety at work—all of which are inconspicuous enough to do at your desk when you need to take a quick mindfulness break. Just sit up tall in your desk chair and focus on your breath, counting every exhale from 1–10. When you get to 10, start over. Repeat 6 times. Sometimes the key to reducing stress is performing a personal restart. “It’s like turning your computer off and on again.” Staring at a screen all day is tough on your eyes (and the visual processing centers of your brain). Covering them with your hands can alleviate the physical strain. Sit with your spine tall in your chair and your shoulders melting down your back. Then close your lids and bring the heels of your palms to your eye sockets, applying gentle pressure. The simple act of raising your arms above your head is great for reducing tension. Just stand with your feet at hip distance and raise your arms straight out in front of you. Next, interlace your fingers and turn your palms out. Then raise your arms until your palms face the ceiling. Lift your shoulders to your ears, and let them drop down so your neck is long. Finally, lift your ribs and spine off your pelvis so that you reach your tallest height and stay in that pose for three breaths. 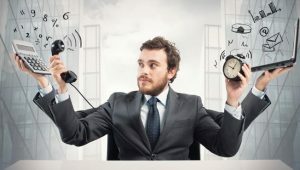 “If you’re holding your breath or breathing shallowly, you’re perpetuating the stress response. [By taking] bigger inhales, you get more oxygen, which is energizing,” And yes, this works if you’re sitting at your desk—so no need to track down an empty conference room (consider it one less thing to worry about). 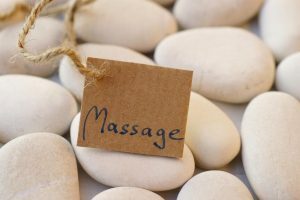 What’s the one thing that is stopping you from practicing in Reflexology? This two day Refresher Reflexology workshop is designed to give you the confidence to go out and be the therapist that you started out to be. If like so many, life took hold and stopped you from going out and practicing, then this 2 day workshop is exactly what you need. This Refresher Reflexology workshop is all about honing your skills, fine tuning your location of points and well, just reminding yourself that you can be the reflexologist that you wanted to be. When studying for your qualification it was all about memorizing a routine, panicking over your case studies and probably losing sight on why you started the course in the first place. Let me help you get back to why you chose this amazing therapy in the first place. When I started teaching this course 4 years ago, it used to be held over one day and the feedback from most of the students was that would of loved more hands on time. Work on and receive at least 4-6 full treatments without the use of notes. Cover the importance of joining an organization for your clients to avail of money back from their insurance companies. Obtain 100 CPD points, which will enable you to join your chosen organization. Discuss business strategies to help build your business. The most common ailments/conditions and which reflexes to work. Be Shown some advanced techniques to add to your treatment. Build a network with other therapists. Have online support once you have completed the course. Receive a sample of Flying Wild Reflexology Balm to add to your practice. 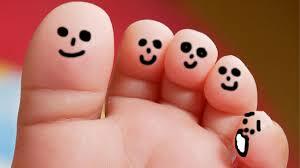 Realize that you actually have all the knowledge to be a great reflexologist. I keep the class sizes to a maximum of 8 to assure that everyone gets the attention that they need. Look forward to seeing you on the next course. Please feel free to either email me on claire@riverholistic.ie or call 0879304412 if I can answer any questions that you may have. Investment: €190 for 2 days. To help us tailor this workshop for you please follow the survey link below. Hard to believe we are getting close to our 4th Birthday. 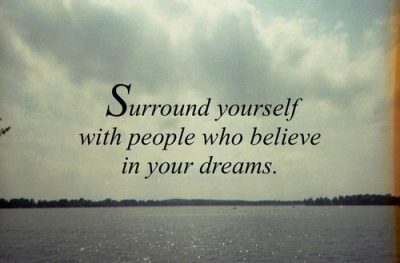 Some of you have been here since I had a little dream of opening a Holistic Centre, some of you I have had the pleasure working with on this incredible journey and to our amazing clients, because of you, River Holistic Centre has grown from a dream to a reality. Being a Holistic Home to over 20+ therapists, 10+ in house teachers, 20+ guest lectures and trainers and over 1000 regular clients. In the past 4 years we have won multiple awards in Holistic Health and customer service. For this I thank you from the bottom of my heart. With all of the success that is our Holistic Home, I have decided to add an extension to our bustling centre. In the coming weeks, I will be opening a brand new space called the River Room. 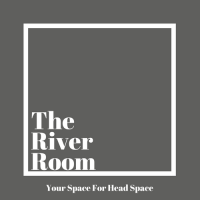 The River Room will be a new home for a large selection of classes, which will include beginners Pilate’s, yoga teacher training, further education training, sound healing, drumming circles, a meeting space for people looking for head space. If you are a teacher or trainer looking for a new space, I would love to have a chat and see if you would like to join our family. You’re not alone. In fact, close to 30% of the population will experience an anxiety disorder in their lifetime. But you don’t have to be diagnosed with by a doctor to experience anxiety. In all likelihood, we’ve probably all experienced unsettling anxiety at some point in our lives. According to Big Think, humans are wired for anxiety. Thanks to evolution, it helped us respond appropriately to threats. But too much anxiety can be quite debilitating, as many of us know. So what are some strategies we can use to lower our anxiety so that we can experience some calm? 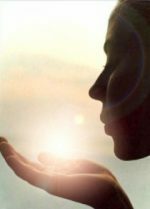 There are several techniques such as breathing exercises, meditation and even massages. Yes, fish is healthy for many reasons. But did you know that studies have shown that omegas can lower anxiety and anger levels? Yep, this study found that it can decrease anxiety by 20%. However, according to the experts, it’s better to get omegas from omega-rich foods rather than supplements. Probiotics can be excellent for your gut health and that’s great news considering that anxiety tends to live there! This study found that altering gut bacteria in mice also changed their moods. Turkey contains the amino acid tryptophan. According to Life Extension, “the amino acid tryptophan is needed to produce serotonin in the body.” Serotonin is responsible for your ‘feel good’ emotions. Green tea can bring balance to your mental state. The polyphenols and amino acids naturally found in green tea can increase production of stress and anxiety reducing hormones – leading to a happier, healthier state of mind! Turmeric is a spice that comes from a beautiful tropical plant native to India. Many people have raved on about this reducing anxiety and appears science is now backing them up. Turmeric prevents fear being stored in the brain, scientists claim. I bet you’re happy to see this one on the list! Dark chocolate has been shown to boost the production of “feel-good” chemicals called endorphins. Dietary and lifestyle approaches can be very beneficial in managing skin conditions such as acne, eczema, psoriasis and dermatitis, according to Nutritional Therapist, Barbara O’Keeffe. Our skin is one of the largest organs for detoxification, heavily influenced by the brain and the gut microbiome, and can be a reflection of what is going on in the body. Eating in a relaxed manner and chewing properly can help support proper digestion as poor digestive health is frequently associated with inflammatory skin conditions. Consuming lots of brightly coloured vegetables, fruits, fibre, essential fats, quality protein, nuts and seeds will contain top nutrients important for skin health. A multifaceted approach is needed, and in Nutritional Therapy it’s all about personalised nutrition and lifestyle support to optimise health and reduce symptoms of chronic illness.